Gardening is a big part of our life. I have been passionate about flower gardening since we purchased our first home as a newly married couple. I started planting flowers in my new back yard and haven’t slowed down much since. The soil at our house is a heavy clay soil except for the area around the barn. The soil around the barn is very rich, most likely the result of years of composted manure from the cow yard. Any other area that I want to plant requires modification to the soil. My main perennial gardens are right in front of our house and we amended the soil by bringing in a lot of rich black dirt. Last year we installed black edging and a brick border around these flower beds. Each year I divide plants, move things around, remove plants, etc. 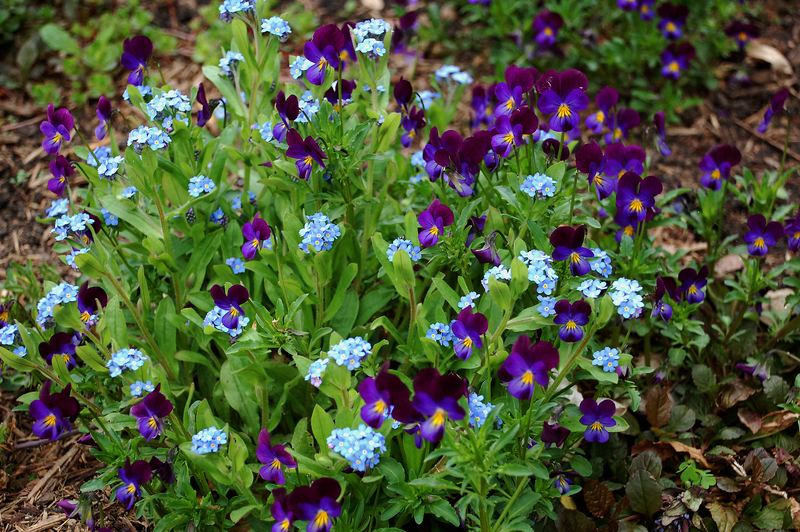 It is a never-ending process of adjusting and is part of the fun of gardening for me. 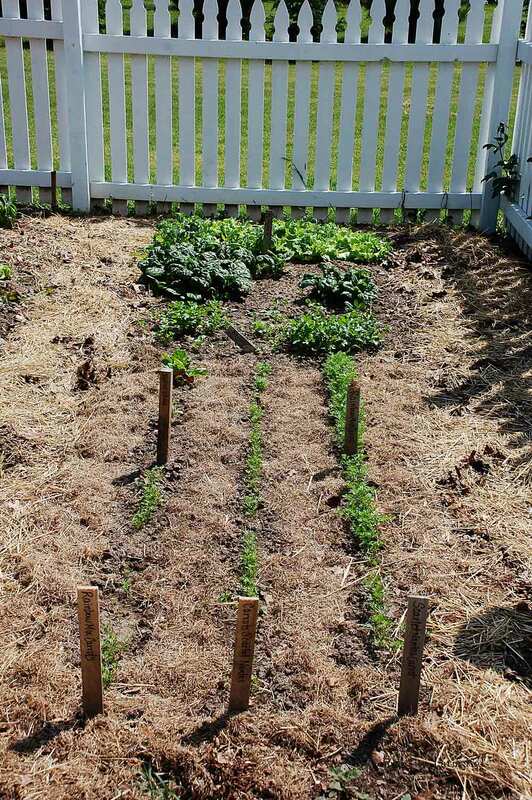 Our vegetable garden continues to evolve each year. 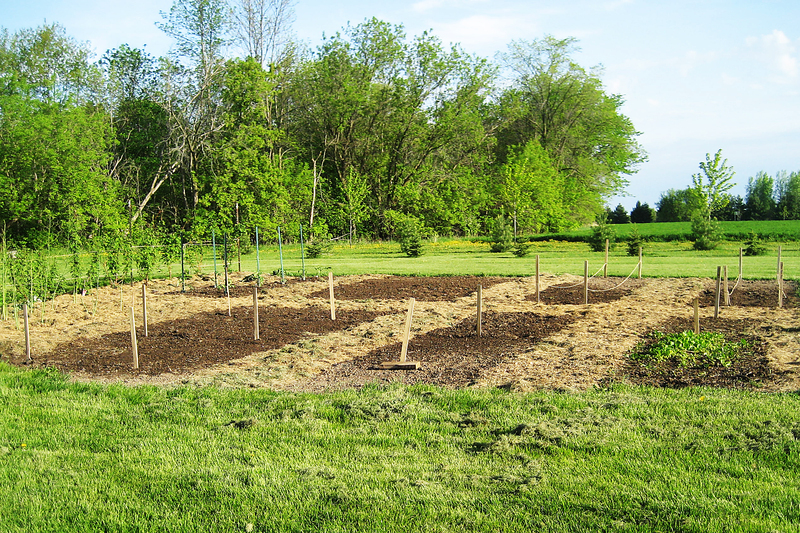 We started out with an open garden plot just south of our barn where the soil is the richest and there is full sun. The flaw in this design was that our free-ranging chickens were relentless in eating our crops. They love raspberries, tomatoes, an all young plants. It turns out our dog likes tomatoes and raspberries too. Weird, huh? 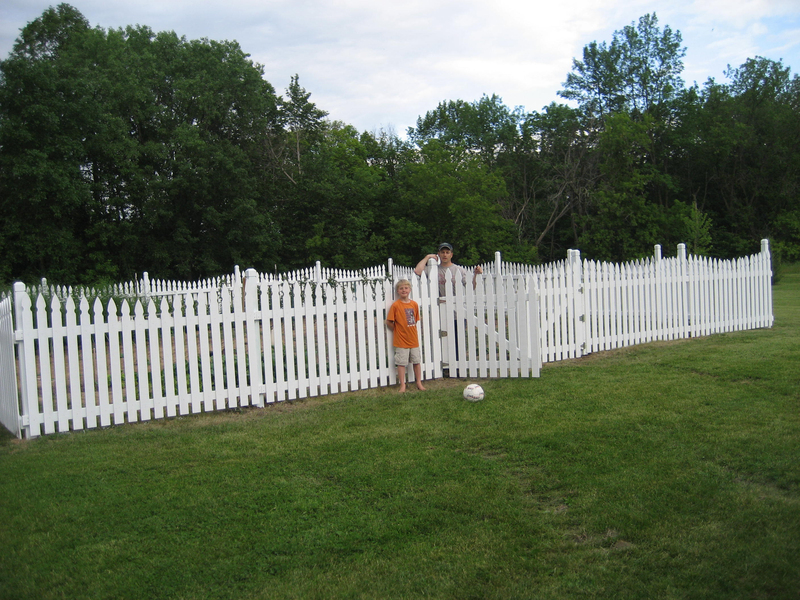 So, we decided to build a fence to keep out dogs and chickens a few years ago. We fenced in a 40′ x 40′ area. The fence has worked out great and each year we continue to make adjustments to our vegetable garden, trying new things and removing things from our list of items to grow for the next year. I LOVE your farm!! We farm & ranch in Alberta and though my husband does the REAL thing for a livelihood, I run the ‘funny farm’ at home (as he refers to it). My favorite are our free ranging chickens. I love to see them walking around the yard, and we added guineas to the mix this year. The problem that we have is with predators – foxes, skunks, coyotes, etc. How do you keep your birds from becoming prey? @Kim, losing 200 chicks sounds really frustrating! My husband’s uncle has had a similar experience trying to raise large numbers of chicks on his farm. Do you have any kind of a shed/barn you could keep them in? With that number of birds, I’m assuming you are raising them for meat and they are probably the quick growing breed. The most we have ever raised was 50 one year and we kept them in our barn locked up when we weren’t home and would let them out into a fenced in area when we were home. Maybe you should build yourself a nice coop and just raise some laying hens! 🙂 I love our chickens, especially the fresh eggs!